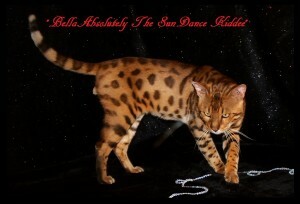 “We are excited to have “Bella Absolutely The Sundance Kidee” in our breeding program. He has too many world champions in his lineage to name them all in a short paragraph. Besides a fabulous pedigree, I am so impressed with the overall attitude and health of this amazing boy. He is always happy and adaptable. I hope his pictures will tell the story of his breath taking appearance. Yes, he is REALLY this red! He has correct structure and coloring with an incredible wild and expressive face. 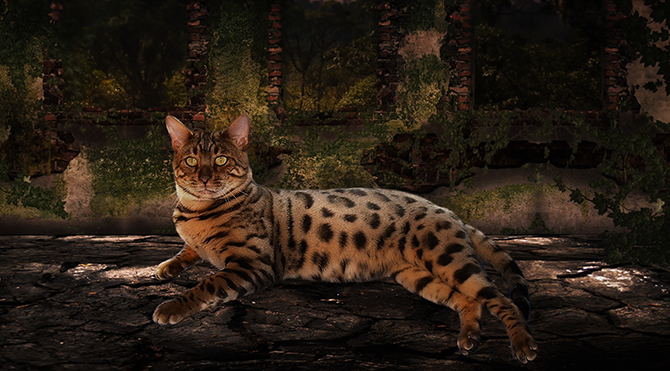 I would like to thank my friends, Nancy from Bella Bengals and Gail Sanford from Absolutely Bengals for this “knock-out-fabulous kid.” He makes us all look thrice! 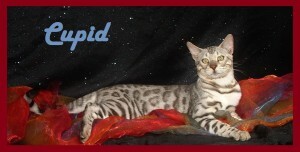 Shown above is “TheBengalCatDen Cupid.” He is the son of SunDance and as we see in his second picture, his back displays a big heart!! 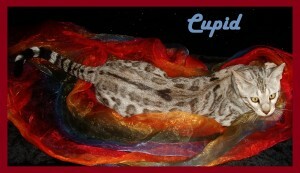 Cupid is a big boy with a very wonderful personality that is friendly and affectionate. 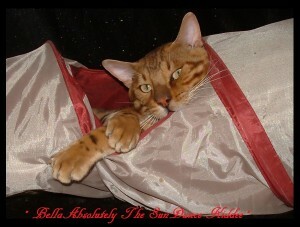 His genetics help keep some silver in our Bengal blood lines. Our visitors cannot help but smile when they meet Cupid. He loves everyone!